Headstone was dedicated during a ceremony on 22 September 2007. 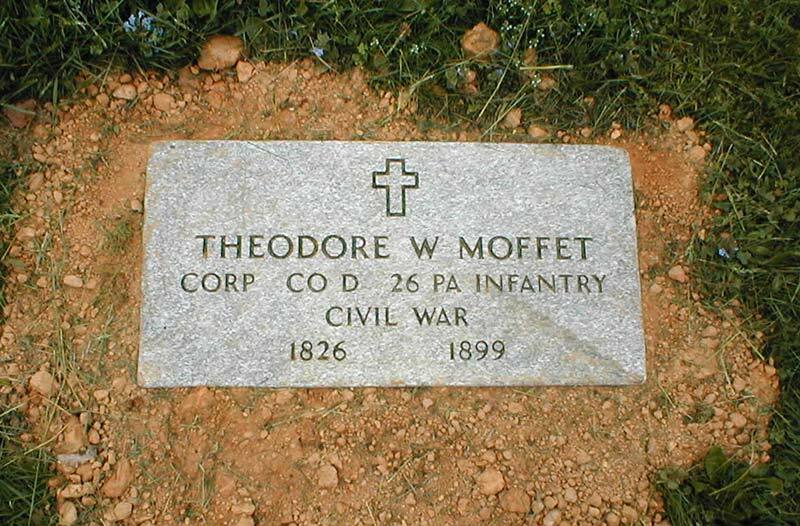 A note from descendant Anita Corcoran: "I recently obtained a VA headstone for my gg grandfather Theodore Moffet who was a Civil War veteran who was wounded at Gettysburg. He had been in an unmarked grave since 1899. This coming Saturday local Civil War reenactors will conduct a ceremony to dedicate his headstone."